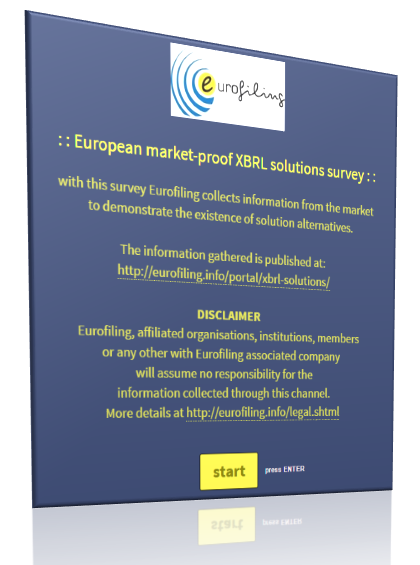 The European Securities and Markets Authority is looking for XBRL expertise in seconded modus in view of elaborating the European Single Electronic Format (ESEF). More information online at this link. Data standards for interconnected Public Administrations. “Use data standards or develop our data model from scratch?” This is a common decision information architects have to take. Data standards are key building blocks for information systems development. Practice is showing, however, that public administrations are often reluctant to adopt data standards that have not been developed by or for them in the first place. Organized by XBRL Europe. Hosted by XBRL France and the Institute of Chartered Accountants (CSOEC) 19, Rue Cognac-Jay 75007 Paris.